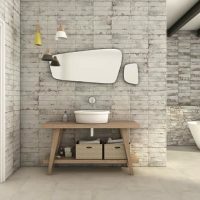 The Loft (Beige) is a sophisticated indoor feature wall tile that is ideal for use in bathroom and shower walls. 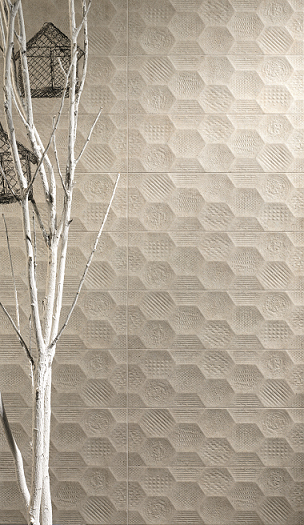 Available in an elegant design in beige, it consists of hexagons with different patterns. It is an excellent tile for adding depth and character to your bathroom walls. The Loft (Beige) feature tile measures 191x571mm in dimensions and is sold per piece. 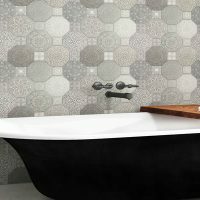 Add a seamless and consistent look across your bathroom walls with this feature wall tile. Due to special manufacturing, it is suitable for installation in wet areas including shower walls. The natural beige finish of this tile will also complement a range of styles, colours and décor schemes. 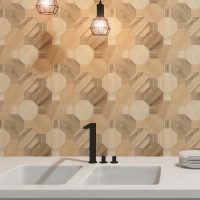 Experience the highest standards of quality with the Loft (Beige) feature wall tile. It exhibits all the qualities of a superior grade product throughout tile quality and tile finish. This durable and long-lasting tile is an excellent choice for your bathroom. For a feature tile in Perth that boasts of sophisticated design and top-quality manufacturing, choose the Loft (Beige) from Ross’s Discount Home Centre. Shop from our online store to purchase this attractive tile at the most competitive price in the market!